With all of the recent upgrades to our car, we've decided that we've entered a new phase of Locost ownership, which we're commemorating by adding a new phase to our build log. We're calling the phase "Refinements", because we're not very good at coming up with names, and also because the car does seem a lot more refined with the new engine. 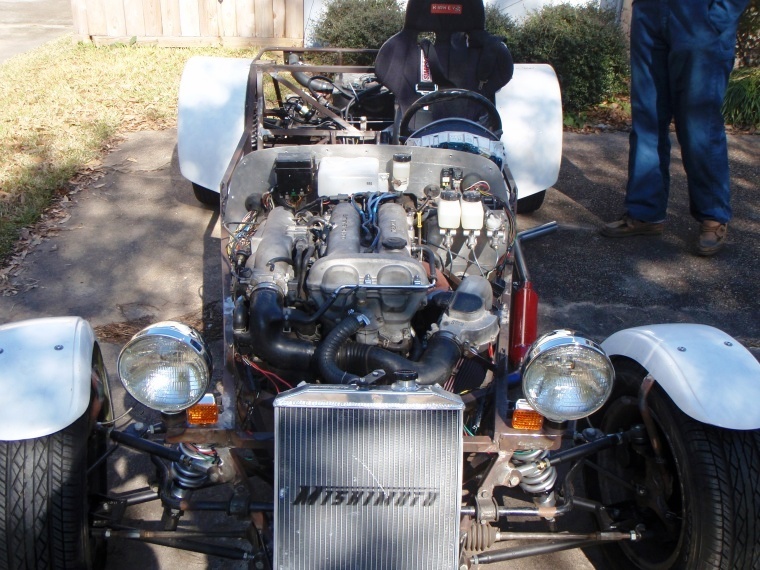 Besides being stronger, the engine is quicker, quieter, and so much smoother. We can only imagine what the crankshaft was going through bouncing around in those old, loose bearings. It's much happier now, spinning freely and easily all the way to redline. When we set out to refurbish the engine, we had some lofty goals in mind, and I don't think any of us expected for a minute to meet them. We would've been happy enough with a little more oil pressure, slightly more horsepower, and the ability to drive from Sacramento to the Bay Area on a a single quart of oil. What we got feels like a miracle. We're shocked by the oil pressure, awed by the horsepower, and we're not sure how an engine can possibly go for thousands of miles without using any oil. It doesn't seem possible. But we're learning to accept it. The car is a lot friendlier on the freeway now. Above 3500 RPMs the exhaust settles down, the engine literally humming. Instead of sneaking along in the right lane with everyone else flying past, we're back in the mix. If we need to get ahead of someone, which we can do now, we punch the gas and the car leaps forward. It's kind of fun. Also fun is watching the oil pressure. The old engine would sink to a miserable 35 psi after a long run on the freeway, dropping to 15 when we pulled off the exit. The new engine pretty much ignores the bottom half of the gauge. We're not sure if it's the new engine, but the rest of the car feels more refined as well. The view out the windshield is much nicer without the giant bump in the bonnet, and the new latches seem to be doing the job, as the hood hasn't flown off the car yet, not even once. This is due in part to remembering to use the latches, but it also helps that we hardly ever remove the bonnet anymore. We used to pop it off every time we stopped the car. Now we might take it off once a week to check the oil—purely out of habit—or just to remember what the engine bay looks like. 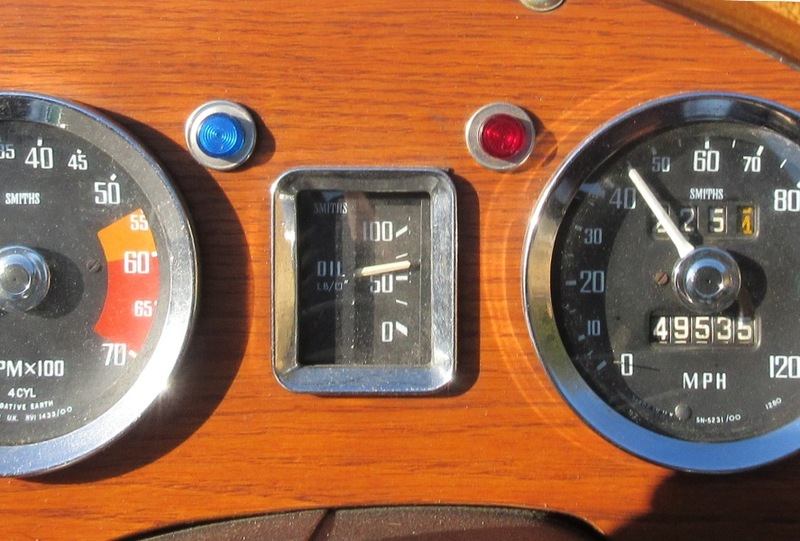 So we're thrilled with the new car and happy to move on to the next phase of Locosting, although we'll always have fond memories of the last phase, "On the Road", where we discovered the joys of vintage open-air motoring along with a host of things we did wrong during the build. Not that we're all done with that. We still have parts we haven't replaced, and anything can happen. The other day, for example, one of the headlights started to wobble. We found the mounting bolts had loosened up on both of them. Even refined cars will have their issues, once in a while. Speaking of memories, a recent post on LocostUSA reminded us that it's been a full ten years since we first joined the site. That was back in July of 2006, shortly after we heard about the Locost phenomenon on miata.net. Within days we had searched through Google for everything we could learn about the Locost. 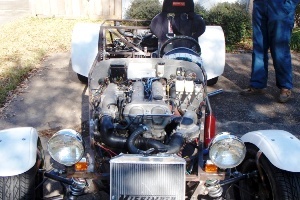 At the time, Miata guru and automotive author Keith Tanner was putting the final touches on his orange Locost, later made famous in a Car and Driver magazine article, and when we found his online build log we immediately read the entire thing with the awe and anticipation of schoolboys. It was the Tanner Locost that inspired us to build our own. I remember showing a picture of it to my daughter, telling her this would be our next car, or one exactly like it except possibly for the color. Like all good daughters she rolled her eyes and shook her head in disgust. "Sure, Dad," she said, or something equally encouraging. We took that as a go, and ordered the Ron Champion book, reading it cover-to-cover as soon as it arrived. 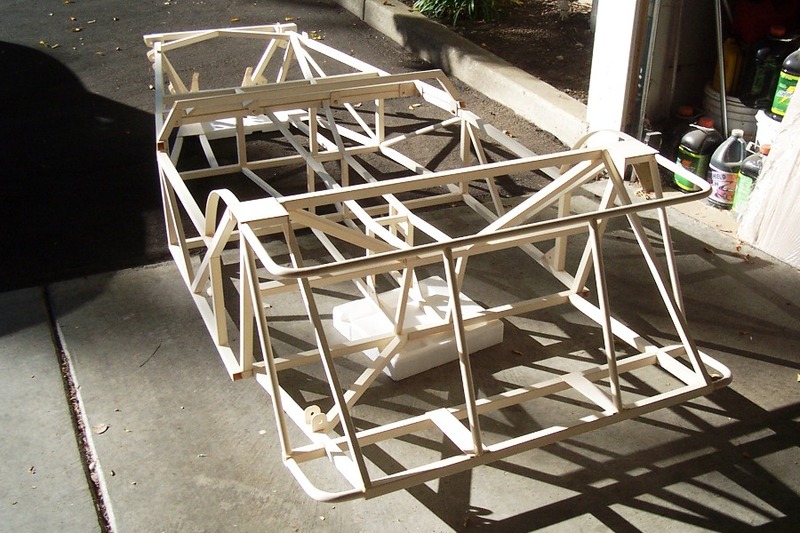 Over the next several months we continued to fire our imagination by constructing a mock-up Locost frame out of wood. In those days, building a Locost seemed like a much easier proposition. There were still quite a few outfits around the U.S. that would sell you a completed frame, along with other parts you thought you wouldn't be able to make yourself. That looked to us like an outstanding way to go, since welding anything ourselves was an unlikely option. We suspected at the time, but weren't 100% sure, that a lot more welding would be involved besides the basic frame, but we did our best to ignore that. Once we had a frame, it seemed, there would be no stopping us. Little did we know. It may be fortunate that the start of our build didn't occur until after we'd learned how to weld. Welders have a different mindset. If you know how to weld, you approach problems differently. Welders are like the hammer owner who believes everything can be fixed with a nail. Except the welders are right. Everything can be fixed by welding. We like to estimate that if you don't own an angle grinder you'll add 1000 hours to the build. If you don't own a welder you'll add 10 years. And probably go through a ton of bolts and rivets. Our decision to use an MGB donor was made within milliseconds of seeing that first Locost photo. We have since come to realize that the decision was reached without a single consideration for cost, availability, reliability, and whether or not any of the parts would fit. 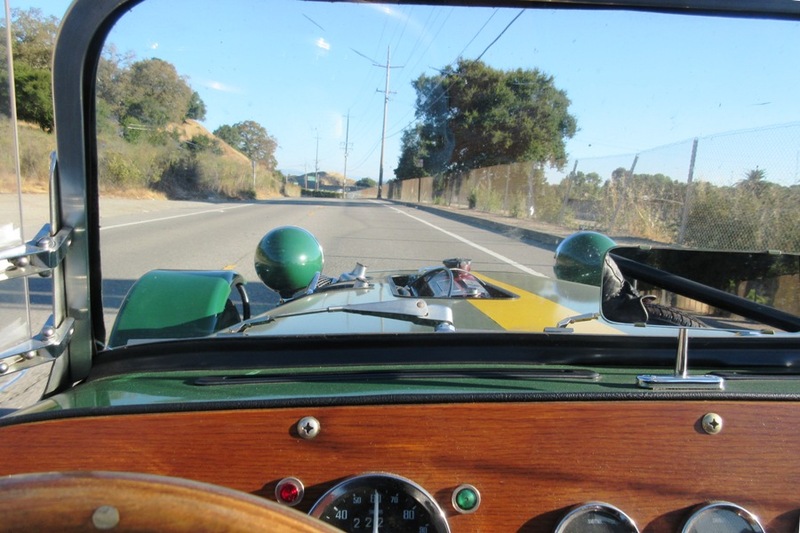 All we could see at the time were those gleaming Smiths gauges set in a classic polished wood dashboard, vintage live-axle suspension soaking up twisty back roads, throaty exhaust mixing with the onrushing wind, all in a brilliant blur of British Racing Green. But all of that would have to wait until we'd worked out a reasonable budget. Pre-welded frames were all priced in the $2000 range—not our definition of reasonable—and shipping costs were frightening. 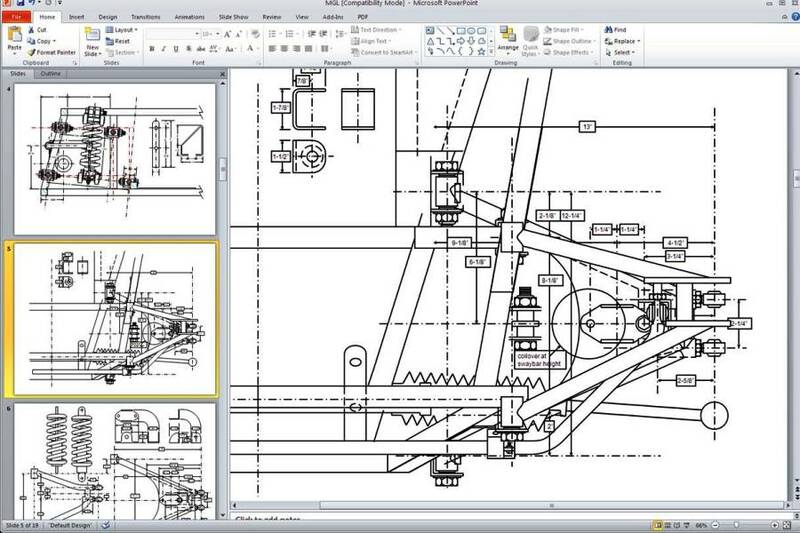 While we waited for prices to come down, we spent time on the design details of fitting an M.G. into a Locost, and worked out most of them, but not all of them, as we would later discover in painful ways. Frame prices never did come down, so we eventually had to sideline the project until our budget improved, or we learned how to weld, which didn't happen until the fall of '09. Not that learning how to weld gave us any confidence. One of the main issues faced by neophyte car builders is the lingering doubt about the viability of the project, the hours, the commitment, the cost, the mess in the garage. We had all of that in spades. So we didn't actually start out to build a Locost, we started out to cut frame tubes for a Locost, tubes that could all fit in a narrow cardboard box in a corner of the garage, where they'd be out of sight and therefore not in need of any explanation. Little cost, little effort, even less commitment. Then we bought a donor, and all bets were off. We were forced to drop the pretense and start admitting what we were doing. The donor took up fully half of the garage, more once we started taking it apart, and as predicted it was soon a giant mess. 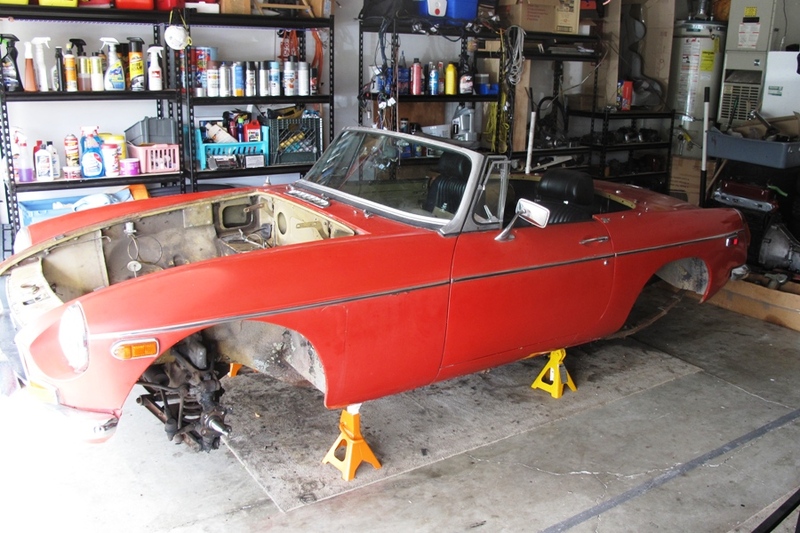 Very quickly the MGB was down to a bare shell, and then a few days later even that was gone, replaced by a massive wooden work table. 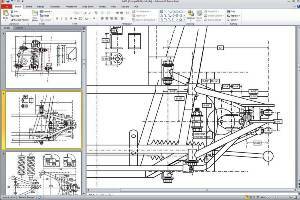 Soon after, the steel space frame began to take shape on the table, a shape based mostly on the plans in the Locost book, and also on which M.G. parts we thought we could get to fit. 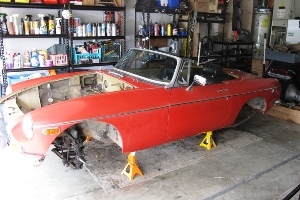 We have no regrets about the MGB donor, although if we think about building another Locost we wonder if we'd use the same heavy, high-maintenance British parts. Sometimes it seems like the Miata-based Locosts have it so much better, with their supple suspensions and trouble-free ignition systems. So we ask ourselves, would we ever use such a vintage car again. Then we take a drive in our Locost and the answer becomes crystal clear. A 50-year-old Lotus 7 would have all the same foibles as our car, possibly more, and we'd take the Lotus over the world's best Locost in a heartbeat. Not our Locost, though. A lot of car owners think they have a special bond with their car, having worked on it, modified it, washed and polished it over the years, and that's fine. 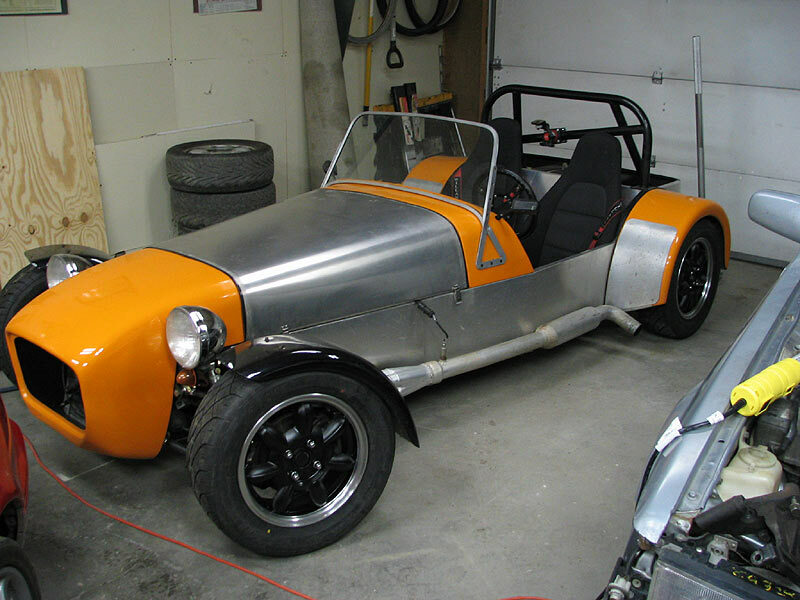 It's a little harder to describe how you feel about a car you built from scratch. You know the bond is strong when you realize that the amount of cash it would take to weaken that bond is way more than anyone in their right mind would be willing to wave in front of you. So yes, we could build another one, even use an MGB donor. But it wouldn't be this one. It wouldn't be our first. After such an auspicious beginning back in 2006, it took us a further five years to get started on our Locost and another two to get it running. The full story of that epic journey is documented around here somewhere, and we'll continue to chronicle the car's adventures as long as we can. In the three years since we took that historic first drive in the Locost, my daughter has returned home to visit a few times, and while she doesn't roll her eyes at the sight of her dad's completed Locost, she does shake her head in disgust, at least a little. Not that we blame her.